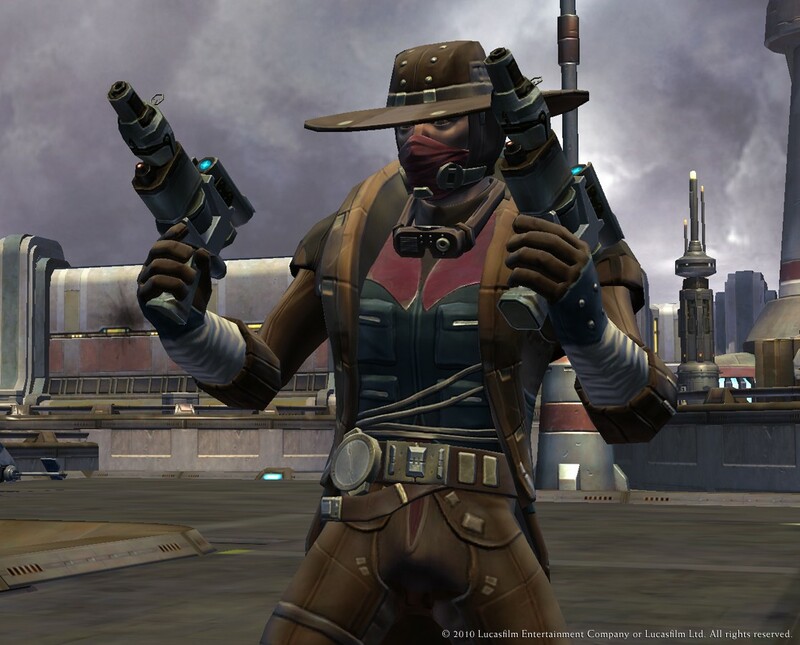 This is a PvP build for the Gunslinger. This will mainly utilize the Saboteur specialization, with enough points in Sharpshooter to gain the Ballistic Dampers talent, which allows use of the strategy Dampers Defense. Goal: This build is about survival. While your numbers in Warzones might be lower than in a Sharpshooter spec when it comes to pure damage, in 1v1 combat on Ilum or in a Warzone, Saboteur has the longest staying power. Cool Head (which now heals you in this spec) and Defense Screen become usable every minute, damage taken in Cover is reduced, Scrambling Field has a lower cooldown, and the Gunslinger is still able to take advantage of Ballistic Dampers from the Sharpshooter tree. Attacking: Shock Charge then Vital Shot to get the bleeds ticking, then Sabotage Charge followed with Speed Shot provides some nice burst damage. Remember that some Contingency Charges are usually left on the target after Speed Shot, so hit them with Flurry of Bolts or if you jump out of cover use the free Quick Shots to regain some energy and make that downtime count. Follow with a usual rotation of Charged Burst and CC, etc. 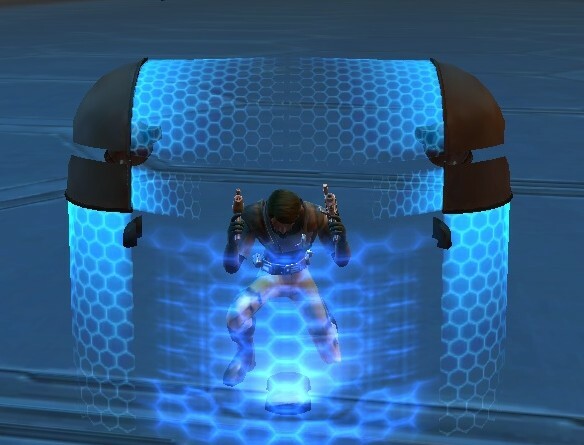 Defending: Cover is a 6% damage shield in this spec essentially and Hunker Down gains 20 seconds of anti-CC. Use Defense Screen and Cool Head as soon as damage starts rolling in. Use Sabotage to blow up your Shock Charge and recover Cool Head and Defense Screen. Against Snipers and lightsabers, Dodge gives 3 seconds of immunity to ranged and melee attacks. Use it on their hard hitting stuff if you can (i.e. early, since they will try to hit you hard first). I recently put up a post about a PvP build that I had theorycrafted. Having gotten the chance to try it up to level 25, I thought I would post on what I had found. First off, as a recap, this build is based on getting in and out of cover effectively. Just because you have a stationary mechanic, doesn’t mean that you need to remain still. Success in PvP is about movement, and this still holds true even with cover. Typically, the ideal situation is one where you remain mostly ignored, much to the enemy’s detriment. You are allowed to remain in cover and keep blasting away. But that is more of what happens in PvE. PvP often places you at odds against the one guy who decides that you have been headshotting quite enough. 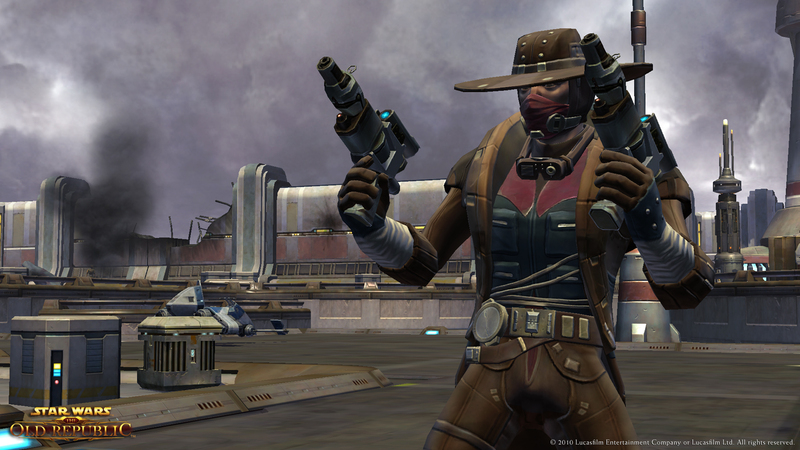 If you are versus a powerful enemy, such as a Sith Marauder or the Imperial Sniper, you will have to use your skills fully, (especially with the latter, as they have a lot of the same tools). On that note, this guide also works for Snipers, just in the Marksman build vs. the Sharpshooter build.